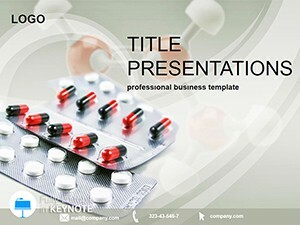 Pharmacy Chain Keynote templates contains several prepared backgrounds, slide styles, fonts. 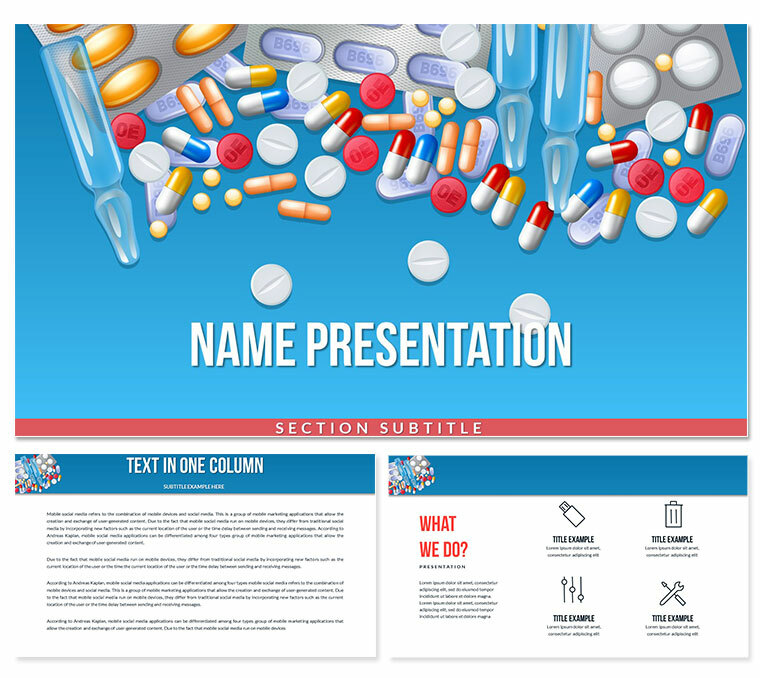 On the background of the template is depicted: a large collection of various medicines, tablets, etc. 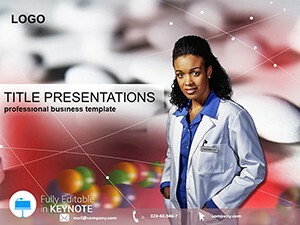 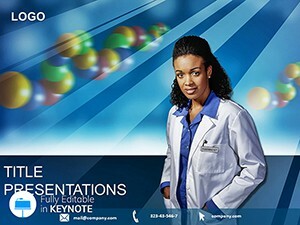 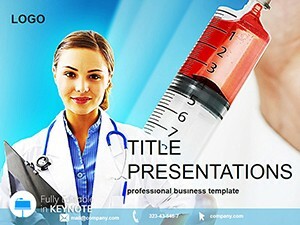 Today, using a computer, it is this kind of Keynote background that allows you, more thematically, to arrange your presentation for pharmacies and hospitals.